Rancho Cordova, Calif. — VSP Global® and the American Academy Optometry Foundation (AAOF), an affiliate of the American Academy of Optometry (AAO), has announced the 2017 Practice Excellence Scholarship recipients. Nearly $200,000 will be distributed amongst 44 top-performing fourth-year optometry students in the U.S., Puerto Rico, and Canada. 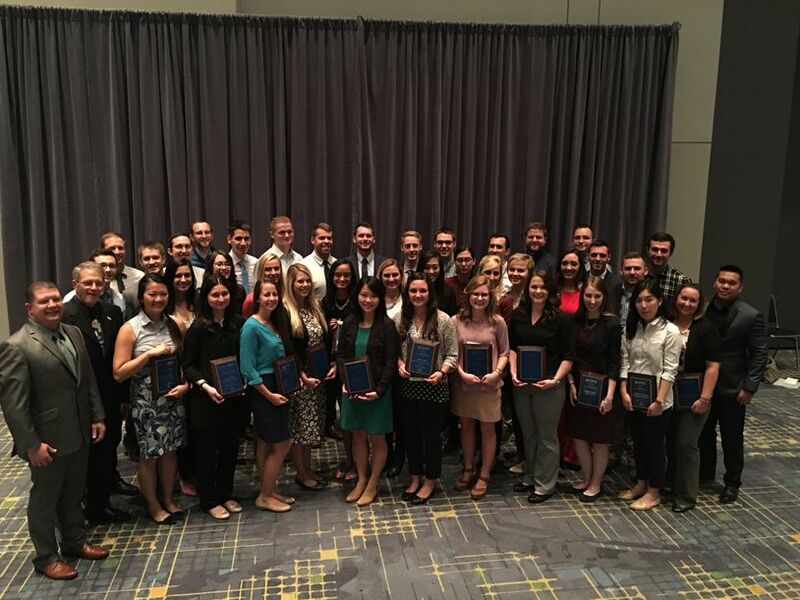 Two students from each college of optometry were selected as scholarship recipients from nominations submitted by their individual institutions. Since 2000, VSP has provided nearly $2 million in scholarship support to hundreds of optometry students. The scholarships are funded through VSP Global’s Eyes of Hope® Global Charitable Fund in collaboration with FYi Doctors in Canada (for Canadian recipients) and is administered through the AAOF. Key criteria for selecting the scholarship recipients include the student’s commitment to enter the independent practice of optometry, clinical performance, and academic performance. “We are excited to collaborate with VSP Global and the schools and colleges of optometry for another year to provide this important award to these deserving students,” said David Kirschen, OD, PhD, FAAO, President of the American Academy of Optometry Foundation. The scholarship includes a travel grant to participate in the American Academy of Optometry's 96th annual meeting at the McCormick Convention Center in Chicago, IL. Recipients were recognized at a special reception on October 12th. As a doctor-governed company, VSP Global® exists to create value for members and opportunities for VSP network doctors. VSP Global’s complementary businesses include VSP® Vision Care, the only national not-for-profit vision benefits company, which provides access to eye care for its 85 million members through a network of 38,000 member eye doctors; Marchon® Eyewear, Inc., one of the world’s largest designers, manufacturers and distributors of high quality eyewear and sunwear; VSP Optics Group, industry leaders in ophthalmic technology and lab services, providing custom lens solutions for the vision and lifestyle needs of patients; Eyefinity®, the eye care industry’s largest electronic health records and practice management software company, and VSP Omni-Channel Solutions, which creates connected consumer experiences designed to strengthen the relationship between VSP members and their eye doctors. To date, VSP network doctors have provided eye exams and eyewear at no-cost to over a million people in need through a partnership with VSP Global’s Eyes of Hope®.